~You’ve been told by many in Packer Nation that if you criticize anything Packers-related, or call for a change either in player personnel or the coaching staff, that you are a “hater“, or worse, a “fair-weather” fan, like a Viking fan. Oh gosh, compared to a Viking fan is a low blow, so you learned to not say anything negative and just keep drinking the kool-aid, pushed to you by all the local media in Green Bay. But many fans, as early as after the 2011 season, were calling for a new defensive coordinator, thinking he didn’t know what he was doing anymore out there and that the defense needed to be better in order to win another Super Bowl. Well here we are, six-plus years later, and the same things are being said about the defense, despite Ted Thompson investing heavily on defense. He even used a tool he seldom uses, free agency, bringing in Julius Peppers before the 2014 season. Peppers played well and should have helped get that team to the Super Bowl that first year. Thompson has drafted defense with all his first picks since Derek Sherrod in 2011. Nick Perry, Datone Jones, Ha Ha Clinton-Dix, Damarious Randall, Kenny Clark, and Kevin King are the top picks Thompson has made since that 2011 draft. True, maybe some of them were poor picks, but we’ve seen Capers lose guys and become studs elsewhere. From Casey Hayward in San Diego/Los Angeles (Led NFL in Ints last year with Chargers), to Micah Hyde in Buffalo (AFC Defensive Player of the Month last month), to Peppers still this year in Carolina. These players produced after leaving Green Bay, moving into a new system. Even Frank Zombo, a starter on the 2010 Super Bowl Team, still plays the Chiefs, a better defense. To many, it was clear years ago that Dom Capers is a weakness, not a strength. Even though yesterday’s loss to the Ravens was not the fault of the defense, it’s clear to almost everyone now that Capers is a weakness and the time has come to replace him. Think about the overall results of Capers’ defenses. 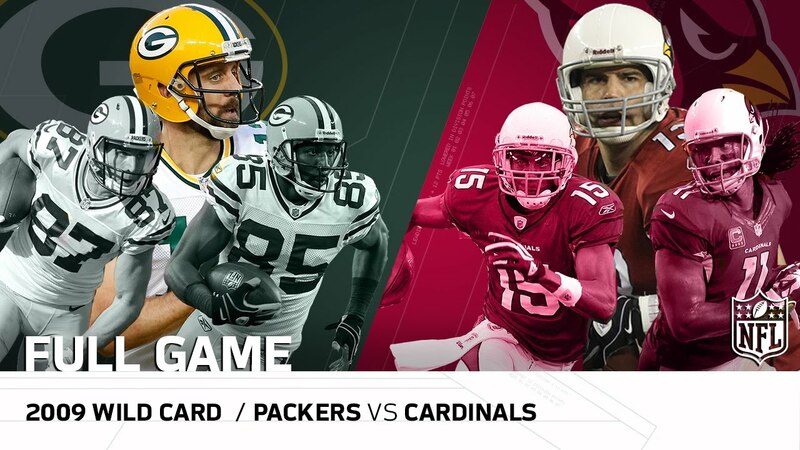 Year one, the playoff loss in Arizona when Rodgers passed for 423 yards and had five touchdowns, but Capers defense allowed five touchdowns by Kurt Warner while he only had four passes hit the ground, in a heartbreaking 51-45 overtime playoff exit. That was in January of 2010. In 2011, Rodgers set records and was the MVP, but the defense was horrible, and they both failed in the NFC divisional against the Giants. In 2012, Capers prepared his defense against San Francisco to face a quarterback like Bernie Kosar or Troy Aikman, instead of a speedy, run-first quarterback named Colin Kaepernick. That was another historic embarrassment like the Cardinals loss, but on the ground instead of the air. The next year, the 49ers also eliminated the Packers and while it wasn’t all Capers’ defense’s fault, Kaepernick did win the game in the 4th quarter with both passing and running. Capers’ defense failed to shut the door. Jarrett Bush made a horrible error, Morgan Burnett was in the wrong position here below, and Micah Hyde wasn’t able to grab the potential game-ending interception late. In 2014, the loss was in Seattle where Capers defense gave the Packers offense many chances to blow the game away. I can’t rehash that whole thing because it’s still too painful for all. But safe to say the defense wilted from the moment Morgan Burnett got the interception but slid down on Peppers’ stop sign. In 2015, it was the Hail Mary game in Arizona. I blame that one on injuries, but the Packers should have gone for the win with a two-point conversion on the Hail Mary. McCarthy didn’t, instead going to overtime and losing another season in overtime where Capers’ defense (bad draft pick Damarious Randall) lets the team take the ball and march down the field for the win. Last year, 2016, Rodgers was MVP caliber again and red-hot into the playoffs. But of course, the Packers defense couldn’t come close to slowing down the Atlanta Falcons in the NFC Championship game, so another year and another miss due to bad defense. When is enough “enough” to make a change at the top? I don’t have a list for you of the qualified candidates and the Rooney Rule list, but it’s time to raid someone from a good defense with modern schemes which aren’t so complicated, and bring him in and get a top-ten defense for once. Again, there is talent on this defense, with this year’s top picks all being on that side of the ball, as well as Kenny Clark last year. At the top, it’s time to retire Ted Thompson and promote Eliot Wolf. Wolf is ready, and has been groomed for this role. It needs to be in Green Bay, not somewhere else. The time is now. Thompson has had more than enough time. Thompson has missed on too many picks, as evidenced by the product on the field this year without Rodgers, and in 2013 without Rodgers. It was actually worse in 2013 than now, until they admitted their errors and went out and brought back Matt Flynn to save the season until Rodgers came back in the final week and pulled out the division in Chicago. Well, maybe it wasn’t worse as the 2013 offense never got shut out at home like yesterday versus the Ravens. And the 2013 defense didn’t have a game when they didn’t force a single punt, as this team did three weeks ago versus the average Lions, at Lambeau. Wolf is ready, and he’s more aggressive, which is needed at this point in time. Peppers and the rotten Martellus Bennett showed that marquee free agents will come to Green Bay, but it’s for Rodgers, not Hundley or McCarthy. 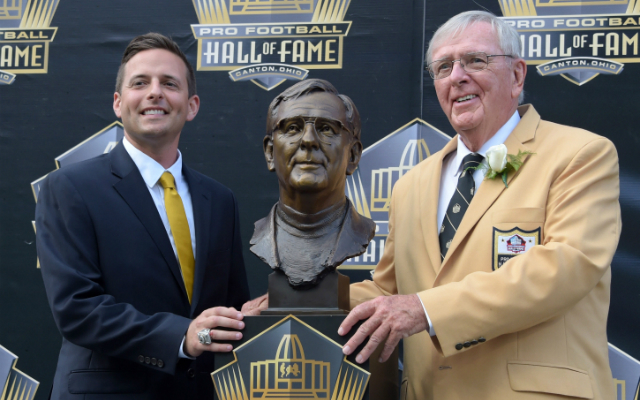 Wolf’s father Ron Wolf (built Packers Super Bowl teams in the 1990’s) is a member of the NFL‘s committee that recommends front-office executives for potential openings, and he is held in high regard around the league. He was elected into the Pro Football Hall of Fame in 2015 and his family tree has spawned current GMs such as Seattle’s John Schneider and Kansas City’s John Dorsey. Eliot Wolf is Green Bay’s pro personnel director and has been a top target for general manager jobs for several years. Maybe Thompson would stick with the Packers as Head of Scouting, since that’s all he likes to do. Finally, and most importantly, in my opinion, it’s time to act quickly and relieve Mike McCarthy of his head coaching duties. I know, he’s a “highly successful football coach”. But he’s a highly unsuccessful coach when Aaron Rodgers isn’t his quarterback. Those are both facts. I also like Mike, but this isn’t about like, it’s about winning Super Bowls. Remember, it was McCarthy while the offensive coordinator of San Francisco, in 2005, whose evaluation in the pre-draft process determined that Alex Smith was the guy he wanted, not Aaron Rodgers. Have you seen the results with Brett Hundley and Scott Tolzein? This is no QB-Guru. He could have had a veteran backup this season, such as the Vikings do with Case Keenum, or Blaine Gabbert in Arizona. There are others (Nick Foles, Brian Hoyer, Kellen Clemons, even Ryan Mallett, and all have played much better in the NFL than Hundley has. This team could have survived with an experienced NFL bus-driver, but not with a Ryan Leaf, which is what we’ve seen from Hundley. Why act so quickly? Because the Packers need to steal away Josh McDaniels from the New England Patriots and make him the next head coach of the Green Bay Rodgers. I mean Packers. McDaniels has said he’s not leaving, that he wants to stay in New England and take over for Belichick. I don’t buy that for a minute. First off, Belichick isn’t leaving as long as Tom Brady is there. Imagine the pressure when he leaves, on McDaniels if he took over for Belichick. McDaniels would jump at a head coaching opportunity to coach for Rodgers. Remember, McDaniels did jump at the head coaching opportunity in Denver, and he won a playoff game with Tim Tebow as quarterback, for goodness sake. Tebow is a great leader, but a horrible passer. Yet they beat the defending ACF Champion Steelers in the playoffs on a brilliant pass by Tebow. This from the past off-season, this January. NFL Network Insider Ian Rapoport reported that McDaniels will speak with the Rams, 49ers and Jaguars this week (about their head coaching vacancy. McDaniels has an ego, as all coaches do. Imagine him being given a chance to finally lead this Rodgers-led team back to the Super Bowl for the first time in eight long seasons. The debate over who’s better, Brady or Rodgers, is for another time. 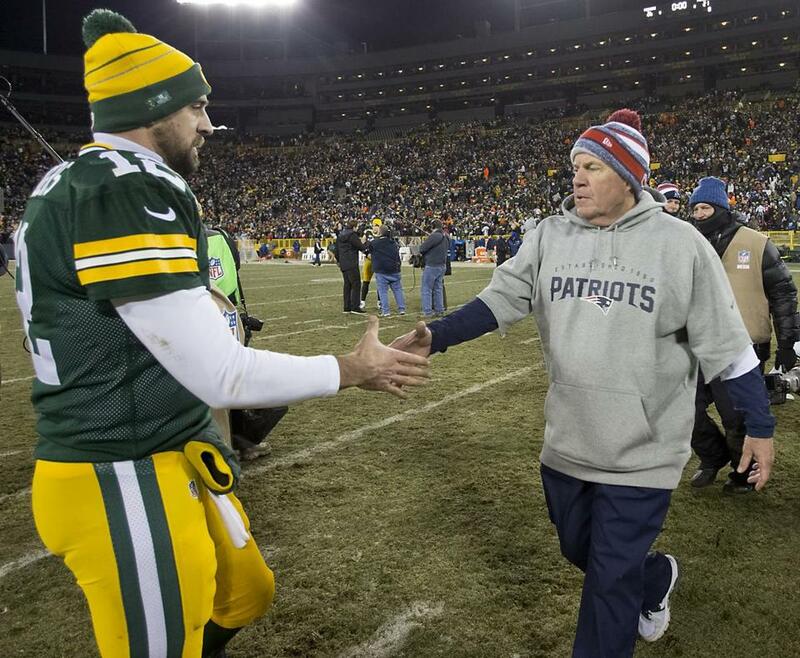 But one thing for sure is that Rodgers is considerably younger than Brady is. Brady is 40, and still as good as ever. Since the beginning of last season, Brady has thrown 50 touchdown passes and only four interceptions. That’s over 12-1 for a TD-Int ratio. Rodgers is still 33, will turn 34 in December. So he’s over six years younger than Brady. 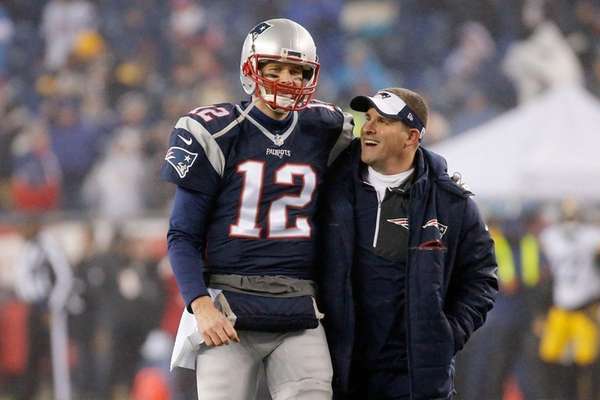 Give McDaniels a six-year deal that pays him the same as Belichick. Money like that, the gift of Rodgers and six years younger, and a challenge like that would get McDaniels out of New England after this season in a heartbeat. He’s well aware of how great Rodgers is. He was on the sideline in Green Bay when Rodgers defeated New England in that 2014 season that was supposed to be the Packers-Patriots Super Bowl. If the Packers had an owner, this would happen. But with passive, lottery-ticket winner Mark Murphy and GM Ted Thompson, you all have learned that these guys would rather go down with the ship that they packed than make an aggressive change that could point the Packers back towards some Super Bowls. If you own the Packers, a share or more, and you want more Super Bowls with this all-time great QB Aaron Rodgers, you owe it to yourself to write to Bob Harlan and Mark Murphy and tell them they are negligently wasting the greatness of Rodgers, and it should be clear to all by now. 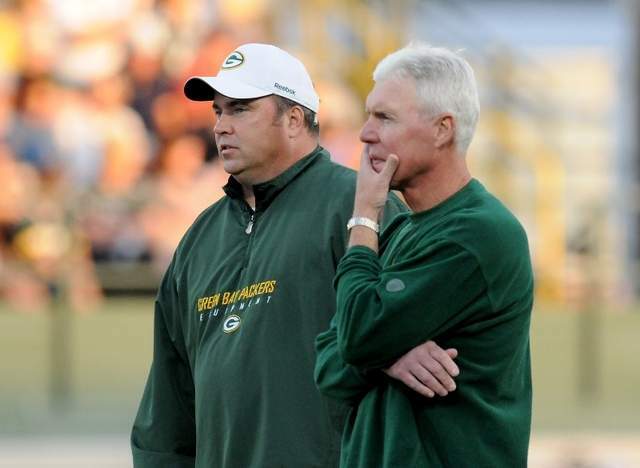 ~Mike McCarthy has told you he is a very successful NFL football coach. Sceptics, of course, say that he’s had Hall of Fame talents Aaron Rodgers and Brett Favre for his whole career, but when either missed time, McCarthy looks like a coach in over his head, who had no clue how to coach. They point to 2013, and they now can point to this year. The fact of the matter, which becomes more evident with each game, is that Aaron Rodgers is 100% the reason for the success in Green Bay since 2008. It’s not due to the coaching, or the general manager. It’s actually “despite” them more so than because of them. Again, this is as many have been saying for years. Of course, it’s almost a sin for you Packer fans to criticize the team. You’re called “unfaithful”, or a “fairweather” fan if you say anything negative. It’s apparent to everyone, fans, media, and players on other teams, that Rodgers has been carrying this organization for a decade. Remember when Tom Brady suffered a torn ACL in the opening game of the season? His backup, also from the Pac-12 like Brett Hundley, went 10-5 as a starter. And he hadn’t even started a football game since he was in high school. He was a career backup in college at USC, and hadn’t played in the NFL until Brady had his knee injured. Brett Hundley was All-Conference at UCLA, but his stock went down the longer he was there. He went from a possible first-round pick to a last-day pick by the time he came out. Thompson grabbed him and thought he might blossom into something. Now in his third year, and having some good film in preseason games against third stringers, McCarthy proclaimed that Hundley is ready. Cheesehead Nation drank the kool-aid, and many were saying that the Packers would be able to trade Hundley next off-season for a 1st or 2nd round pick. I kept asking them “why”? Now they know why he won’t be fetching anything. He has gone from a last day draft pick prospect to soon-to-be a waiver wire quarterback. And the Packers have just wasted yet another season. Look West to Minnesota, where they are now 8-2. True, had the dirty Anthony Barr not late-hit Rodgers, they probably would be 7-3 and trailing the Packers. But that happened. And now, with their 3rd QB on their preferred depth chart, they are rolling. Case Keenum is a veteran who has shown some things that proved that he was a capable NFL QB. McCarthy, and Thompson, once again misevaluated the position. Or they overrated their own skills. This quarterback is nowhere near good enough to play well in the NFL. Just like in 2013 when Scott Tolzein was starting games in place of the injured Rodgers (and injured Seneca Wallace, the original backup). This is all, 100 percent, on the GM and head coach period, end of story. The question now is will we see any significant changes before next season? Will team president Mark Murphy do anything? Does he think Thompson and McCarthy are doing a good job? Or will he see what the rest of you see? That Aaron Rodgers carries this team, this franchise, and time is running out to make proper changes and bring a more competent GM and/or head coach into Green Bay? Do you expect any big changes in Green Bay? I would advise you to not hold your breath. They are very spoiled, from Mark Murphy on down. Don’t expect that to change now. Minutes after the Packers treated their faithful fans to a 23-0 disgusting shutout loss, Coach Mike McCarthy said he was happy with his offense, enough so that he’s going to keep it going with Brett Hundley, as the Packers prepare to invade Heinz Field for next Sunday Night’s NBC Game of the Week at the Steelers. Now fans may disagree and may point to today’s game, or the Vikings game, Saints, game, or Lions game as evidence. But McCarthy works for Ted Thompson, and Thompson drafted Hundley. New backup QB Joe Callahan was not a draft pick, and he has no professional snaps, so he couldn’t possibly perform as well as Hundley is. Next Sunday night, all of America will be treated to the genius that is McCarthy and Thompson.